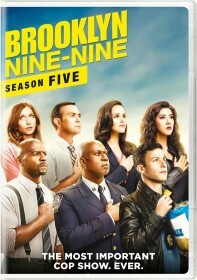 FOX has released the synopsis for the guest star-packed January 25 episode of Brooklyn Nine-Nine. Kyra Sedgwick returns as Madeline Wuntch, Eva Longoria is back as Sophia, and Stephen Root reprises his role as Lynn Boyle. Chris Parnell (Saturday Night Live) guest stars as Geoffrey Hoytsman in the episode, "Defense Rests". "Defense Rests" - After Sophia's job gets in the way of her relationship with Perlata, Jake tries to fix things with her boss. Meanwhile, Madeline Wuntch needs Holt's assistance for a job recommendation.